The local Kool Aid is Guinness by the way. Thanks be to God we got your approval. The whole town was waiting to see if you liked living here… literally. I’ve lived in Galway all my life and this was the first time I’ve heard that expression. I think the barman you heard it from originally might be taking it up the wrong way. Great write up and all the best with your business venture. Likewise . . . this is news to me! Ps think I nearly tripped over ur camera on the ground one sunny avo in Latin quarter! I lived in Galway (greatest city in Ireland) for 4 years and never heard this expression. Do you have any info for job vacancy other than software sales? You’re not “Galway” though. You’re an American. You are born into Galway, you don’t adopt it. Does it matter that he was not born IN Galway . . . really?!!! That’s pettiness. Oh feck off ya miserable git. Half the town are blow ins. Perhaps you should brush up on yours history but foreign people have been a very important part of Galway down through the centuries. Its the biggest melting pot in the west of Ireland and long may it continue. Thank goodness for common sense! I can identify with that term ‘graveyard of ambition”. I visited Galway in 1978 as a young Dublin-based banker and after having a great time there took a decision to get a bank transfer there. Within weeks I got a transfer to a better job within Dublin and the Galway opportunity faded. Every time I set foot in Galway I’m reminded of what might have been. There is something special about that town. Do you feel you might have truly regretted not following your heart way back then? MLK, please don’t be put off by those few curmudgeons who think Ireland/Galway is for the Irish/Galwegians only. They forget their forebears had to go as far afield as the USA to survive the desperate conditions in Ireland and were expected to send their hard earned money back to keep their families afloat, which they did. The grim reality of the quality of life those exiles encountered is well documented. They should be grateful you’re instrumental in bringing WORK to their town instead of disputing who belongs to Galway and who doesn’t. I’m an absentee Galwegian but, more importantly, I’m ME, just me, simply ME – wherever I live! I’ve lived in Galway for 10 years after coming on holiday here for a couple of weeks and falling in love with the town. I’ve heard & used that phrase a lot but never new the origin, so thanks for the heads up! I hope one day soon that i also will join yew that graveyard!! Galway is full of people – both blow-ins and real-Galwegians (defined as people with 4+ generations of family members put into Forthill Cemetery by Irwins) – who are working at roles well below what they’re able for, just because that’s the job that they can get here. The amount of sheer talent and energy her is amazing. We don’t exactly bury our ambition here, we just channel it to fit what’s available – or carve out new ambitions for ourselves. I lived in Galway for 10 years. I always took the phrase to refer to the relatively high number of people who drift in and never drift out again. I found Galway to have a transitory population . 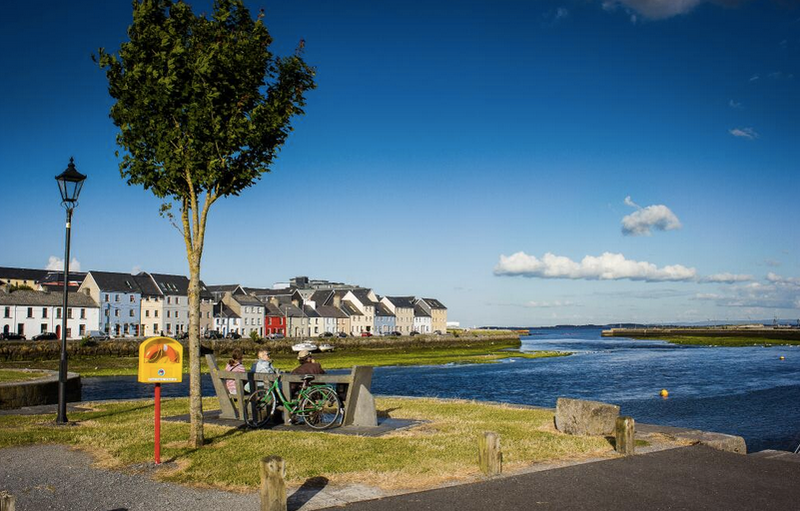 Its an arty town, it attracts creative people but there is a certain class of professional layabout that likes to make Galway home. As American transplants to Galway – and thoroughly, completely head over heels in love with the place – my husband and I prefer to think of it as “termination of trajectory.” Our ambition for travel has not left, we just come back to beautiful Galway at the end of every holiday. I thought that term was coined by James Joyce? In Wales ‘Graveyard of Ambition’ has been attributed to Dylan Thomas. Wrongly, it’s been said. Apparently it was the work of a slightly less celebrated poet – David Hughes. A punchy, popular phrase I guess! Thanks very much for this great article! I’m moving to Galway on next October, and I didn’t know I could be more excited than I actually was before reading it! Maybe we’ll meet one day! BT pulling the piss, he’s a spoofer…! Yes, a colloquialism I’ve hear batted about here in Galway for 30+ years – newbie “blow-in” employers can relax – it’s nothing about losing ambition it’s all about our great living environment and an increasing ambition to continue living here despite potential “promotions” elsewhere. love it John! also, was just chatting with John McArdle, would love to get you over to our offices for a visit in the next few weeks. My slant on this is that you do hear this phrase quite a bit, but I think it comes mainly from the blow ins themselves, not the born and bred Galway folk. In this sense Galway’s a bit like Bath, beautiful place to live, everyone wants to live there, but the remuneration is sometimes not what you’ll get in the capital. Must plan a trip there. p.s. If you’d like some more photo’s of Galway drop me a line sometime!